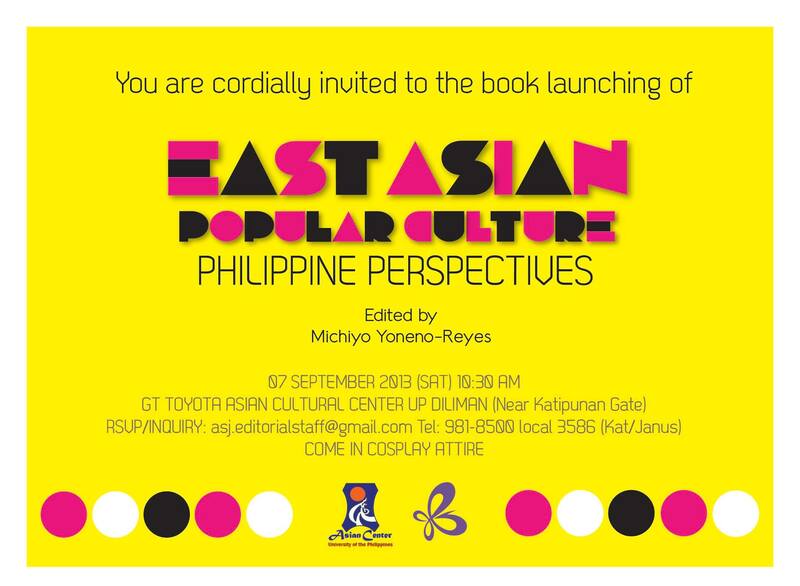 Popular Culture: Philippine Perspectives (edited by Michiyo Yoneno-Reyes, authored by Francesca Aguiluz, Herlyn Gail Alegre, John Rex de Guzman, Rogerick F. Fernandez, Mario Rico Micu Florendo, Marian F. Gongora, Giselle Jimenez, Dorcas Juliette Ramos, and Myrtle Anne Zabala, published by Asian Center, University of the Philippines) at 10:30am, on Saturday, September 7, 2013, at GT-Toyota Asian Cultural Center, University of the Phlippines Diliman. 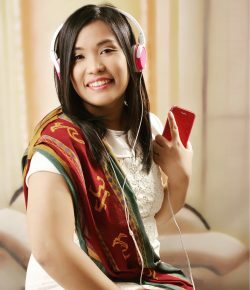 The book is a compilation of the articles on manga, films, dramas, music of Japan, Korea and China written by young Filipino scholars.The themes of discussion ranges from fandom to gender issues. The book is available for sale with PhP250.00, while the launching price is PhP220.00. For attendance to the book launching, reservation of the book, and inquiry, please contact asj.editorialstaff@gmail.com.